On Monday, October 29, 2012, at 14:00 in the auditorium №2 will be held a meeting of the University Academic Council (12 Melnikova, str.). Monday, October 24, 2012. Rector’s Council meeting. 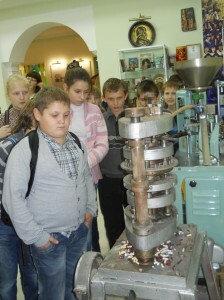 It’ll start at 9:00 a.m. and finish at 10:00 a.m.
On October 23, 2012 154 students of Kharkov secondary schools visited the Museum of the History of Pharmacy of the National University of Pharmacy. On Monday, October 22, 2012 the NUPh Rector’s Council meeting will be held. Start at 9:00, end at 11:00. On Monday, October 15, 2012 the NUPh Rector’s Council meeting will be held.